The past 4 days have been so good...and so, so hard. It was the first time that he and I had been away together since PJ died. The first time we really looked at each other and recognised the loss of the other. We were in a place that, as a family, we had experienced one of out best vacations when PJ was in high school. And while that was a hard realization, (we had to work through the 'should've' and 'could've' thoughts) it was still a time of memories relived. Half way up that mountain in the distance, as my lungs were on fire, I kept repeating this song in my head. I must have been singing it out loud as well because he said to me, "you know that is a truth - you know we will live out that truth for the rest of our days? There will be mountain top experiences again - of His doing. 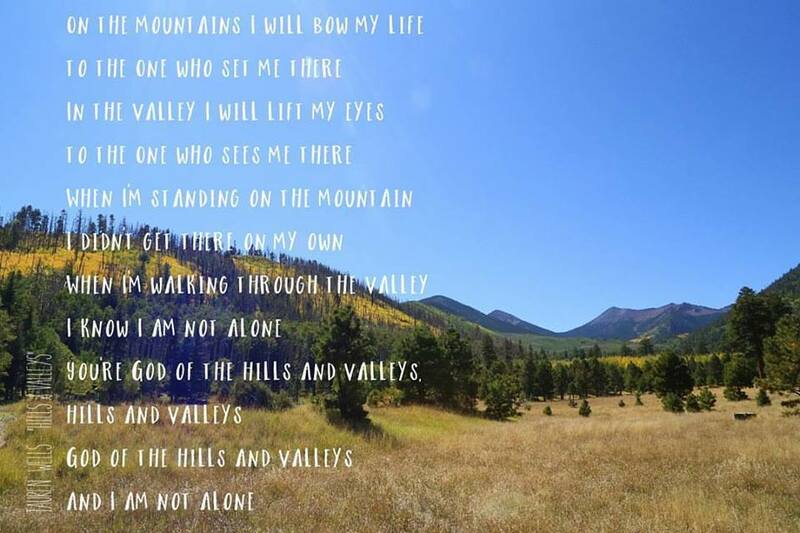 And right here in the middle of our valley, He is here too." Isaiah 54:10...He doesn't go back on His promises. Praise His name!